A delicate moist sour cream pound cake is adorned with fresh black velvet apricots and the floral accents of roses! Hello! This is Zainab from Blahnik Baker. Emily has kindly let me share a recipe with you guys and I am very excited to be here! I’m a huge fan of The Best of This Life! Emily always shares the best recipes and her daily quotes on Facebook are always so inspiring. Let’s not even talk about how much I admire her photography. Sunday Living always puts a smile on my face. Over at Blahnik Baker, I try to make easy, everyday desserts that are elegant for any celebration but once in a while I like experimenting with unique flavors. You know, beyond peanut butter and chocolate. Wait, once in a while really means very often. 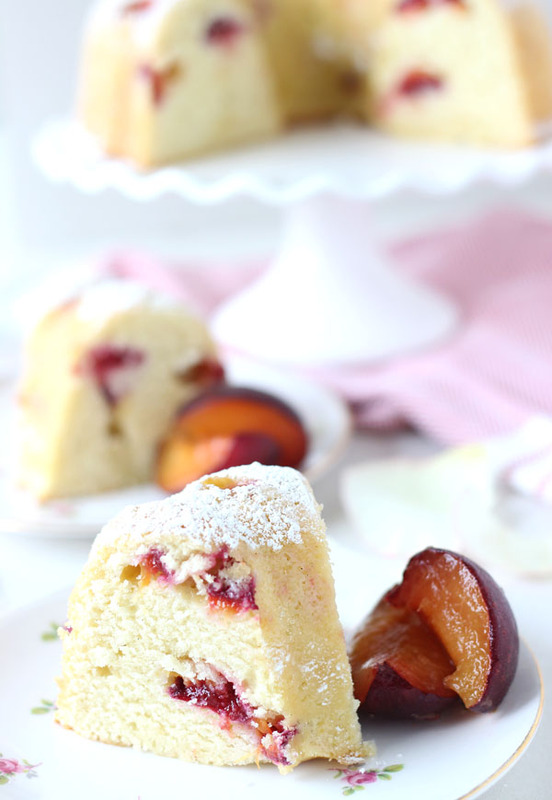 Like this red apricot rose pound cake, it’s such a wonderful combination of summer flavors. I love pound cakes because they are so moist and delicious but they can get boring at times. So I decided to jazz mine up with some fresh juicy red velvet apricots and floral rosewater. This recipe is really easy to make your own. The base is a moist, dense and crumbly pound cake that you need in your repertoire. To change things up, you can use different fruits, flavored extracts or even melted chocolate. I used fresh apricots to fold into the batter and a tiny bit (a little goes a long way) of rosewater to add an essence of floral flavor. It’s a wonderful combination and brings a little summer to your cake. Enjoy this at your next summer gathering or a Sunday dinner with the family. Preheat oven to 325 degrees F. Grease a 6-cup bundt pan with baking spray (or butter and flour) and set aside. In a medium bowl, whisk together the flour, baking powder and baking soda. In the bowl of an electric mixer, beat the butter and sugar on high speed for 10 minutes until very light and fluffy. Beat in vanilla extract and rosewater. Add in eggs one at a time, mixing 1 minute after each addition and scraping down the side of the bowl as needed. Reduce speed to low and add in the sour cream and flour mixture alternately, starting and ending with the flour. Mix until just combined. Using a rubber spatula, fold in the apricots into the batter. Spoon batter into prepared pan and smooth top. Bake for 50-60 minutes or until cake is golden brown and a cake tester inserted into the center comes out clean. Cool on a wire rack for 10 minutes in pan before removing carefully from pan. Let cool. Serve with some powdered sugar and fresh apricots. To make this cake DAIRY-FREE, replace butter with creamy virgin coconut oil, and the sour cream with coconut yogourt. Thank you so much for having me today Emily! I hope you all enjoy this summer recipe soon! I’m a 29-year old baking enthusiast, recipe developer, food photographer, shoe addict and PhD student living in Central NY. As a newly wed who loves baking and cooking for her family, I enjoy creating easy, elegant recipes to share with my readers. When I’m not in the kitchen baking or window-shopping for shoes, I love taking long walks at the park, reading, watching soccer and picnicking with the family. Looks so delicious. Thanks for including the dairy free option too. Who would have thought apricot and roses? But it sounds and looks incredible! Thank you!! It’s an unexpected combo but works so well! This pound cake sounds incredible. Love the addition of the apricots! I have a 6-cup Bundt pan and will use this recipe minus the apricots. Do you think that would affect the cooking time? I also love that the crust isn’t crusty and dark. I’ll also leave out the rose water. If you have any other recipes for the 6-cup, please post. Zainab (recipe author) says that not using the apricots won’t affect the cooking time and you can also use/add whatever fruit you might like (or leave plain). 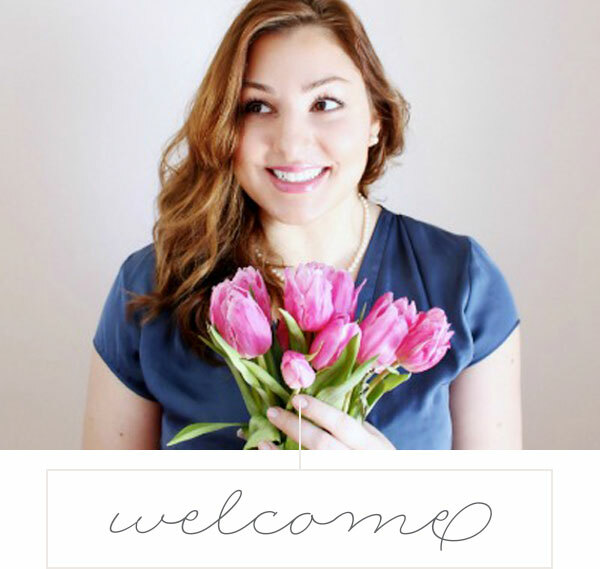 For more bundt cake recipes, you can visit her blog! Thank you for reading!